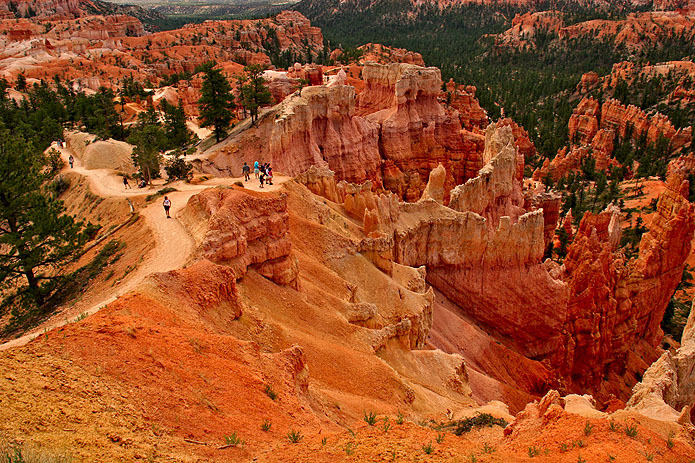 Bryce Canyon National Park | M.A.R.T. 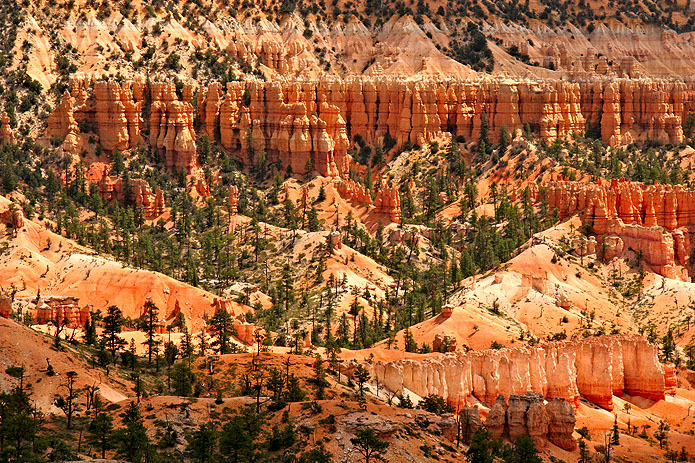 Let’s get this out of the way right now: Bryce Canyon Nation National Park does not actually contain a canyon. Shocking isn’t it? The place is actually an amphitheater created by headward erosion (as opposed to erosion from a central stream). 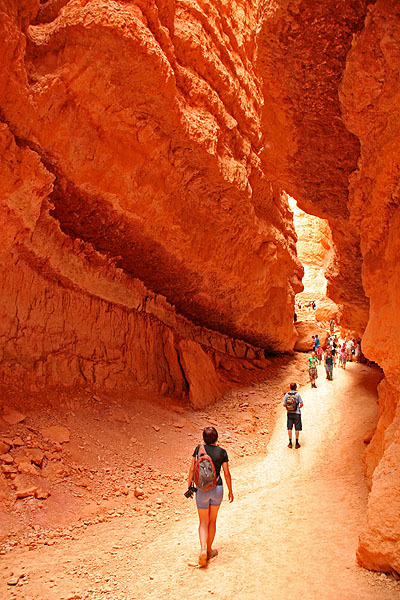 It is located in Utah but at a higher altitude than Zion National Park. This area was settled in the 1850s by Mormons and the spectacular beauty of the place prompted it to be promoted to National Park in 1923. 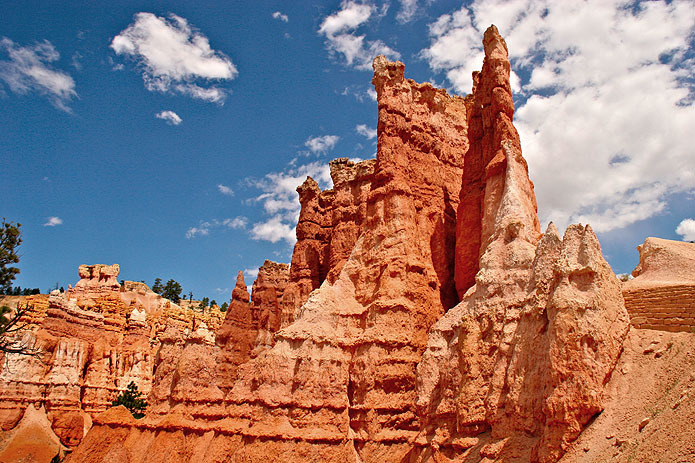 The Bryce amphitheater is filled with thousands of hoodoos, a geological structure formed by a thin spire of rock that protrudes from the ground. 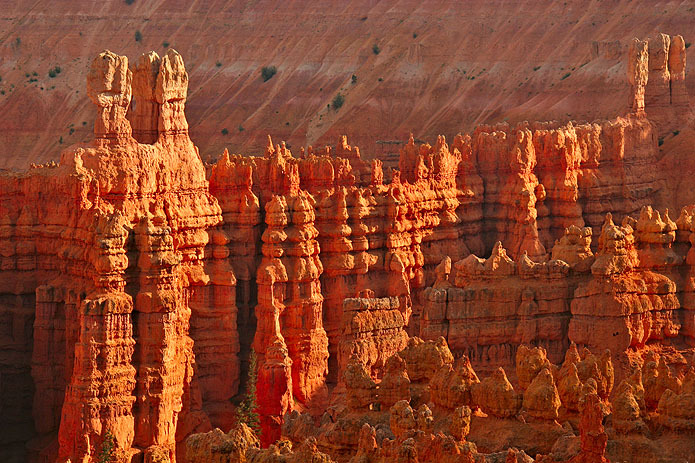 The red and oranges colors of the rocks are a sight to see at either sunset or sunrise, when the hoodoos catch the rays from their sides. I was much more impressed by Bryce than I was with Zion or even Yosemite. The landscape just can’t be described by words, I had never seen such an otherworldly scenery before. I almost felt like Spacement Spiff on one of those weird planets. 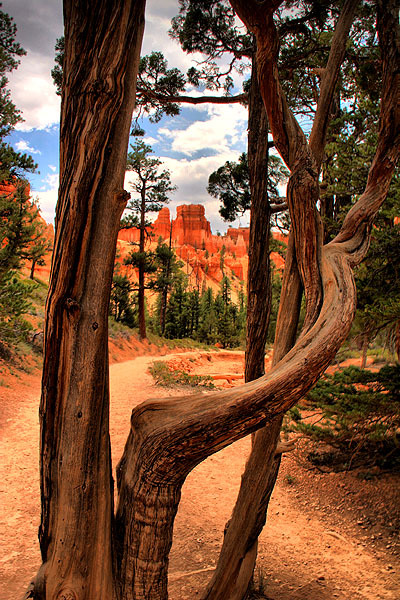 This National Park is home to what is considered the best 3-mile hike in the world. So naturally we had to do it! 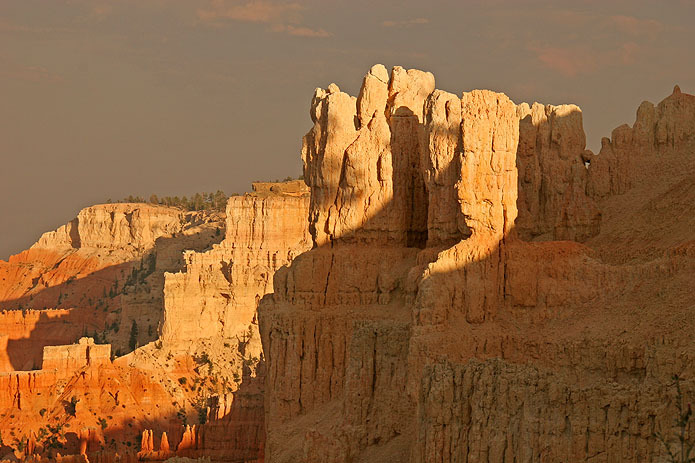 It involves descending in the amphitheater among hoodoos of various sizes and shapes, crossing a forest patch near the bottom then coming back up via the Navajo trail between two very high rock faces. This last section is called Wall Street and is home to quite a lot of falling rocks. It was recently closed due to the trail being completely blocked. The last climb is not that difficult particularly as one has to stop quite often to admire the ever changing surroundings. Outside the park, there is a “village” composed only of hotels, shops and stores. That’s where we stumbled upon beers such as Polygamy Porter (“why have just one?”) and other microbreweries goodies. Unfortunately, the food spots left a lot to be desired, so stick with the Bryce Lodge for dinner if you ever have the chance to visit. Some stunning images. Hasn’t changed much since 1986 🙂 Thanks for sharing. Thank you Kerstin! Your visit and comments are really appreciated! Wow! I got here because I did a post on Bryce Canyon today, and this post was automatically generated. SO glad I came to see this! So I decided to look at other posts. We are in this area every summer, and now I KNOW I have to go to Antelope Canyon. (We always pass through Page.) Those pictures are absolutely amazing. And I’ve wanted to go to Monument Valley, but now we know more about it and what to do there. (Definitely going to drive the road 2 hours before sunset when we go!) We live 3 or 4 hours from Mesa Verde and haven’t been there because that’s more of a weekend trip for us, but we know we’ll go there. Your pictures make it look so worth going. Whether or not your do My World, I will definitely be back to see more! Thank you so much! Your comments are greatly appreciated. I mostly do this for friends and family (and my own self ;^) but it’s always nice to get visits from people who randomly land here from time to time. This makes the whole process really worth it. I must admit that Antelope Canyon was MUCH more impressive than Mesa Verde. Next time you are in Page, make sure you take the morning tour. You won’t regret it. As for Mesa Verde, well the NPS sometimes holds “free week-end” events, so if you don’t have an anual pass, I suggest waiting for one. Mesa Verde, while on the World Heritage list, is not for everyone as it’s more geared towards cultural and historical facts than landscapes and nature. I will of course check out the blog you mentioned, it sounds quite interesting.